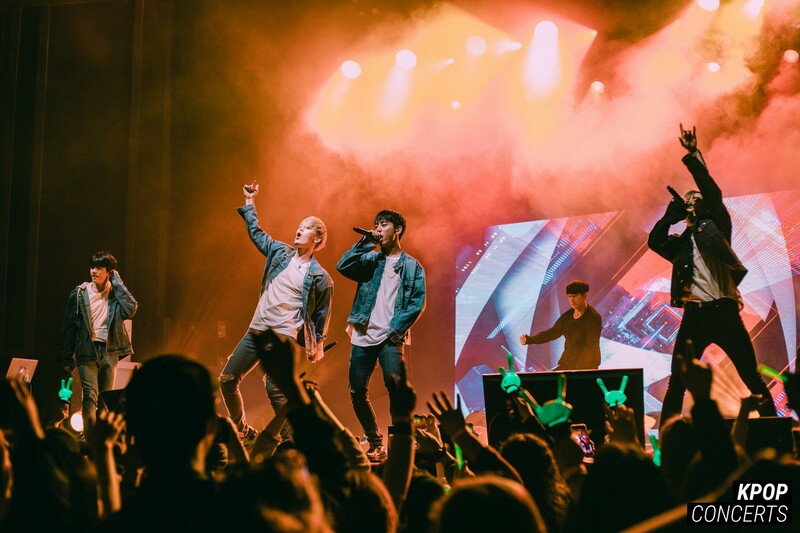 B.A.P debuted as a six member group (Yongguk, Zelo, Himchan, Jongup, Youngjae,and Daehyun) with the jaw-dropping “Warrior.” They continued to put out bangers like “No Mercy,” “Power,” and “One Shot.” This tour is a reminder to BABYz everywhere that B.A.P has never strayed away from their 2012 selves and has overcome so much to stand on stage together despite leader Bang Yongguk’s departure earlier this year in August. 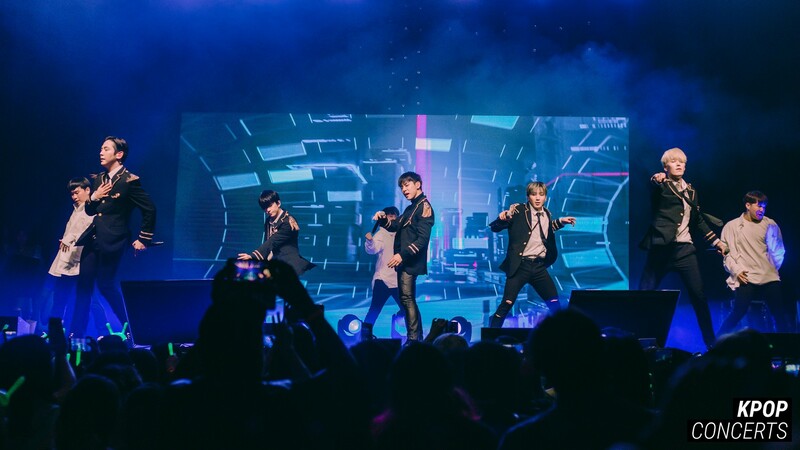 The current five members of B.A.P (Zelo, Himchan, Jongup, Youngjae and Daehyun) began the concert in sleek, all-black outfits with their debut song “Warrior.” The crowd went crazy with nostalgia as they sang along and especially during the signature dance break featuring Jongup and Zelo. 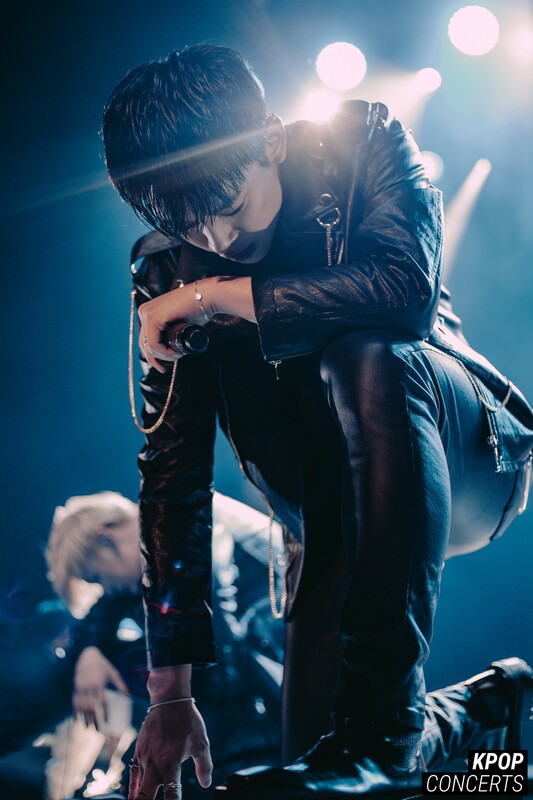 However, it was noticeable whenever Bang Yongguk’s lines were being covered by other members (mostly by Zelo and Himchan) but thankfully, the fans chanted along to make up for it. 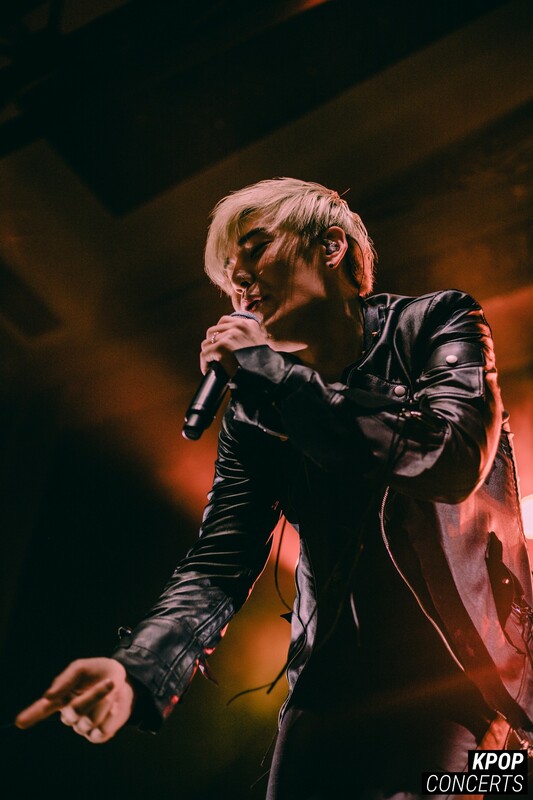 The momentum continued with “Power” where everyone in the crowd shouted along to the addictive “Everybody say! Hate you!” For “One Shot,” Himchan made the crowd go wild as he started off the song with his deep voice. 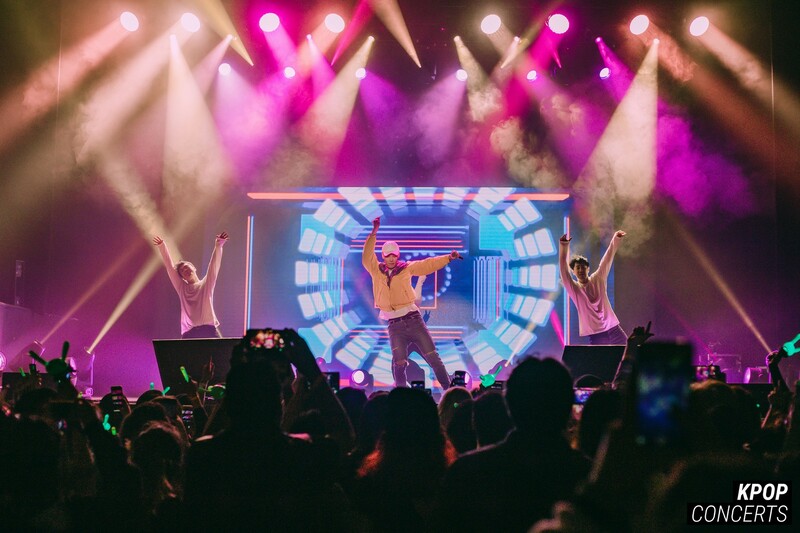 Although they didn’t do the popular “One Shot” push-up dance, they were able to keep the energy up by engaging with the crowd throughout the entire song. They then sang “No Mercy” to round out the first part of the show, revisiting all their early hits. The boys went off stage to change as a VCR that paid homage to their debut, bleach-blonde hair days played. The boys entered again in dazzling all-white outfits and the crowd screamed in anticipation at the sight of mic stands. The boys got into positions and gave us a dreamy performance of “Coffee Shop” complete with multiple shy smiles from Daehyun to the crowd. They went into a sultry performance of “I GUESS I NEED U” where the mic stands added to their seductive choreography. 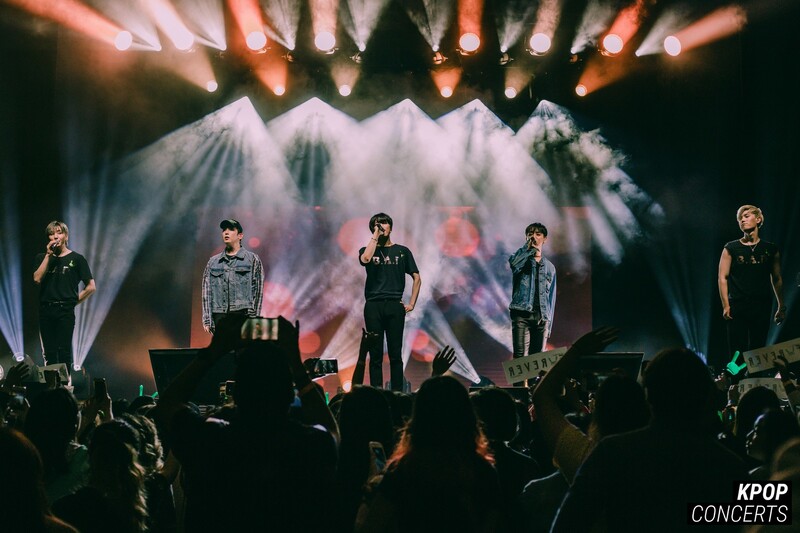 The members stood at the edge of the stage as they serenaded the crowd with “뭐라고 할까 (What More Can I Say)” as Youngjae engaged the crowd to wave our arms to the beat. After seven songs, B.A.P took the time to introduce themselves to the crowd before going off for another outfit change. This time they returned in denim, street-wear outfits to sing “All the Way Up” and then the party-anthems “Feel So Good” and “That’s My Jam” where the crowd jumped up and down to the beat. Then they sang “Do What I Feel” where Youngjae sprayed water at the pit audience members. 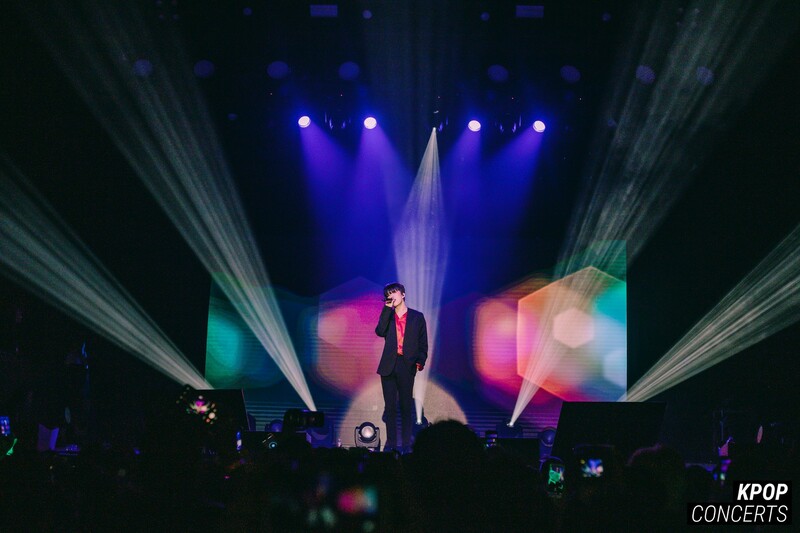 Following another VCR, Youngjae took the stage for a solo stage of the recently released “Farewell…” as a part of the ‘B.A.P Concert Special Solo ‘The Recollection.”’ Youngjae was then joined by Daehyun and Jongup for “Fermata,” featuring great vocals from all three members. 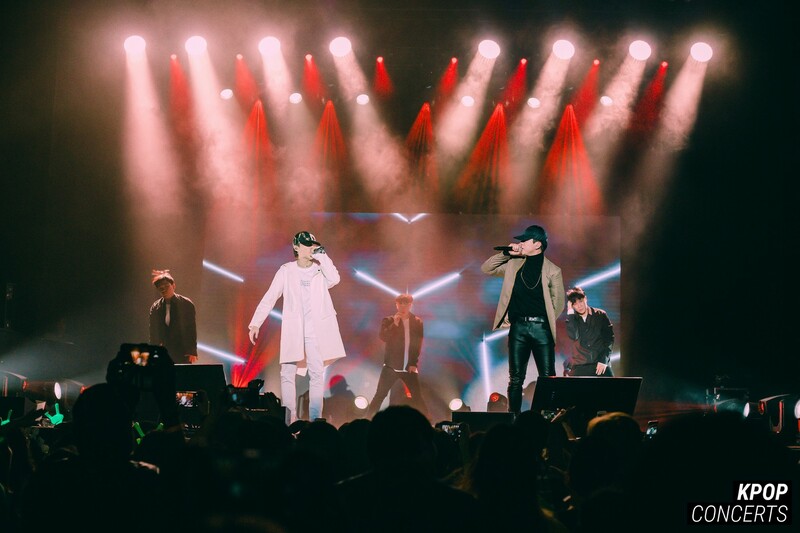 Zelo and Himchan returned onstage and joined Daehyun, Youngjae, and Jongup for “Diamond 4 Ya” and a Q&A session with questions that the audience members personally wrote on notecards before the show. 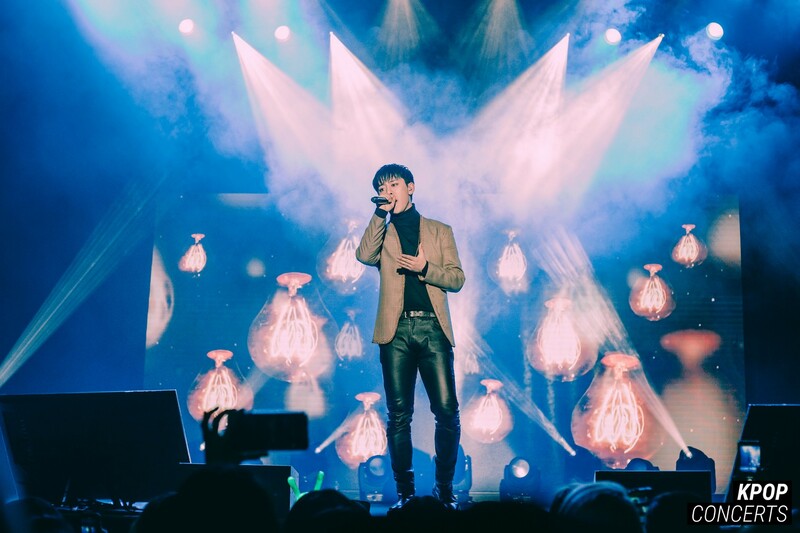 Daehyun, although changing backstage for his solo performance, sang a short duet of “I Believe I Can Fly” with Youngjae. The boys acted out “morning calls” to wake up BABYz and as the last question, they were asked to choose between jajangmyun or ramyun. Youngjae cheekily answered “BABYz” and the crowd responded with enthusiasm. Another VCR played to show the evolution of B.A.P through their music videos. 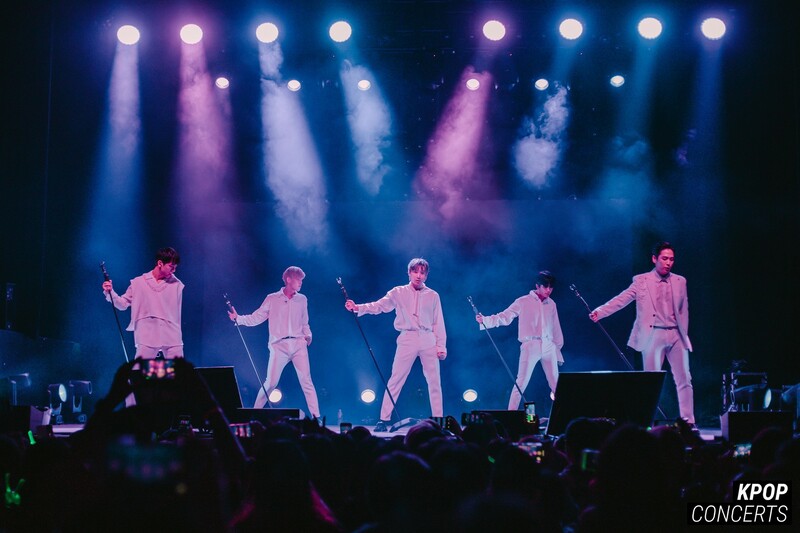 B.A.P re-entered in sleek suits and performed the two highly anticipated tracks, “Wake Me Up” and “1004 (Angel).” With each drop in “1004 (Angel)” the crowd grew louder and louder. For their ending Ment, the boys expressed that they had many worries while preparing for this tour and addressed the elephant in the room. They said that they were sad that Yongguk couldn’t join them but he really wanted to. And during all of this, Himchan was visibly emotional and silently shed a few tears before ending the talk with “I’ll always be here, don’t worry” to reassure the fans. They then performed “Hands Up” as their last song. After a few minutes, B.A.P returned for their encore stage of “With You” where each member moved around the stage, slowly taking in everything and waving at fans. 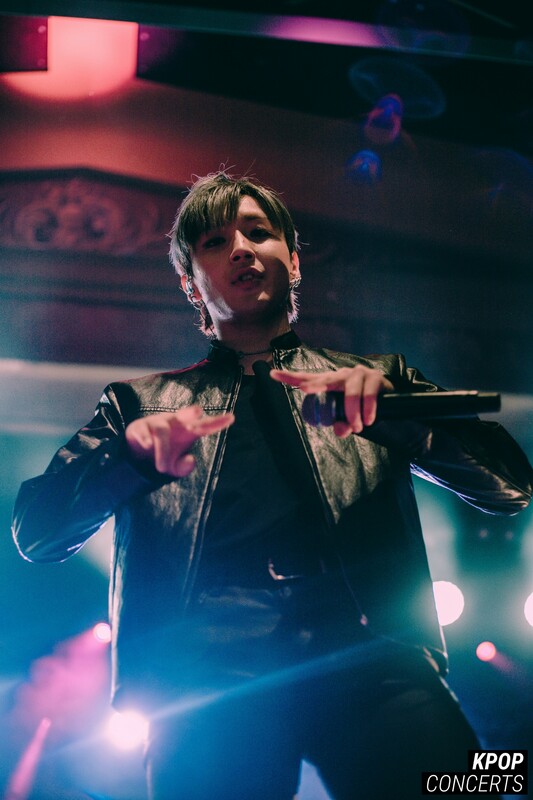 “Goodbye” was officially the last song of the night where the entire crowd sang along with the lines of “No more pain, Goodbye” making it a bittersweet experience to hear the words “Goodbye” from both the fans and B.A.P. 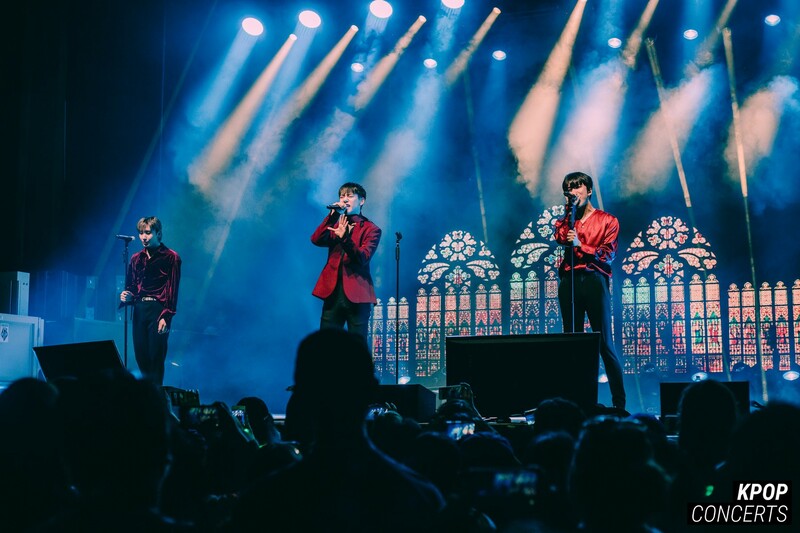 Although B.A.P gave constant reassurances that they will be back again, there seemed to be an air of sadness at the uncertainty with their future. 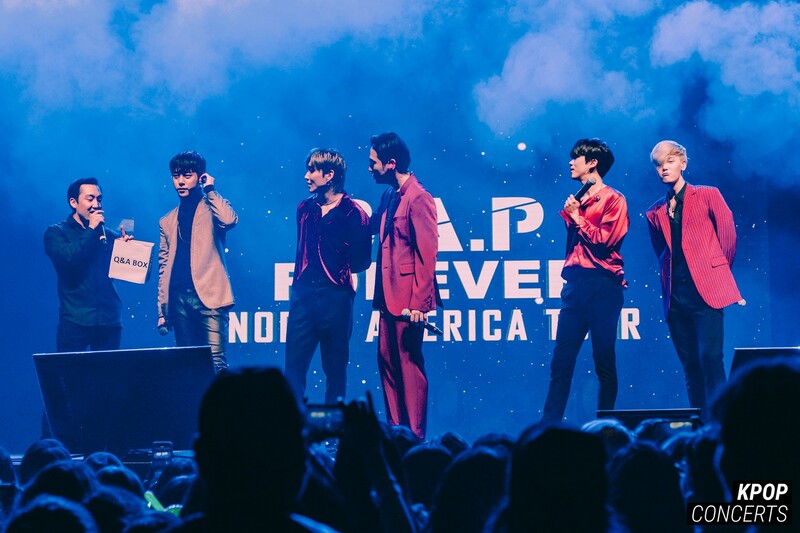 B.A.P is an amazing group that has overcome so many struggles because of their fans’ support. Throughout the concert, it was clear that they had an enormous amount of love and gratitude they have for their BABYz. So please continue to support B.A.P so they can return once again (and ideally as six members)! I am going to the Atlanta show on Sunday. 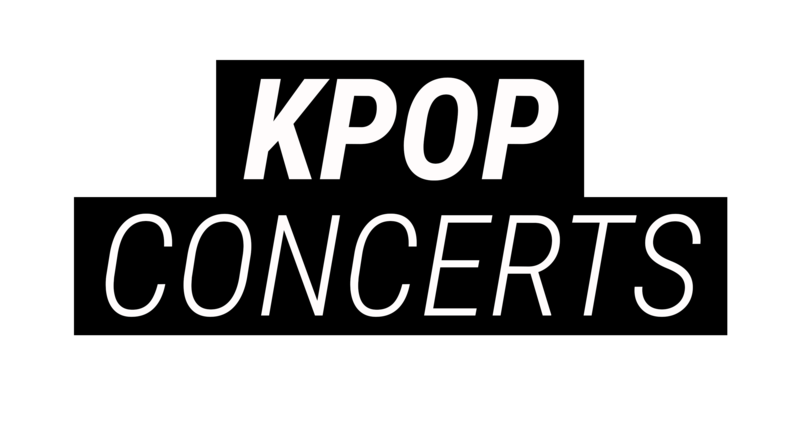 I know I am going to be a crying mess by the time it is over because I love B.A.P so much. They are one if my favorite groups and it is sad to think about them no longer being together. At least I can watch them perform together one last time.